When it comes to foodie cities, Portland, Oregon is definitely near the top. It's come a long way. When I was at Lewis & Clark College in the 80s, everything (dining, nightlife) was pretty much on the west side of the Willamette River. Now, it seems, all the cool stuff is primarily in the revitalized neighborhoods on the east side. Back then I was impressed by a lot of ethnic restaurants, such as Filipino and Ethiopian, but the food scene wasn't as vibrant and impactful as it is today. To celebrate this great food there is the annual Feast Portland event(s). Occurring in September, this year the event spans from Thursday, September 15 to Sunday, September 18. 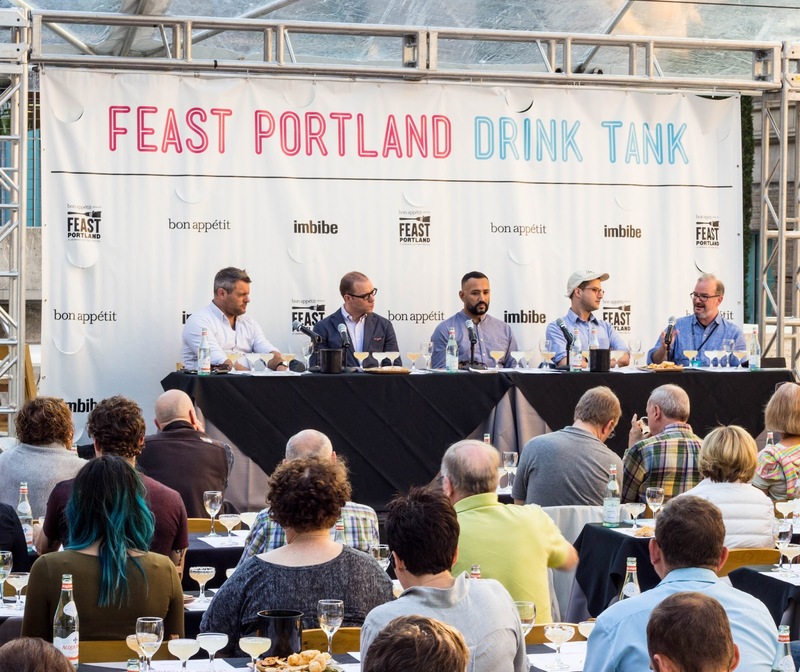 Feast Portland is one year older than our own Farm to Fork Festival, but seems to be so much bigger and draws in foodies and celebrity chefs from around the country. In past years I've had conflicts so that I couldn't attend, but this year I am conflict free and looking forward to staying with my father and visiting a city that I love. 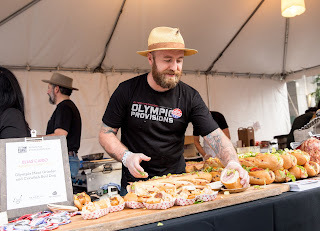 I'm looking forward to the Sandwich Invitational which puts Portland chefs up against a few visiting chefs, one of which is Ben Ford, famed Los Angeles chef who happens to be Harrison Ford's son. The idea is to go crazy with the idea of stuff between two pieces of bread, or the loose interpretation of bread. Sold Out is the super popular Night Market, featuring a light-strung village of stalls serving up a variety of street food from a hand-picked line-up of inspired chefs from Portland and beyond. Another sold out event I'd love to go to is a dinner with Chris Cosentino. There are also a few hands-on classes as well. 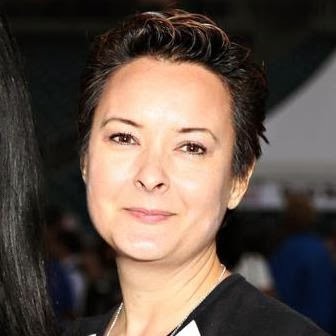 If you follow me on Twitter or Instagram, you'll be sure to see me tweeting from the Sandwich Invitational and Grand Tasting tents with blog posts to follow. Photos courtesy of Feast Portland. Disclosure: I am receiving a press pass to this event.